However as a developer, apps can be a major pain (and expense). I would go from having one codebase to maintain (and debug) to having two or three. In addition, while I understand that people like to do things on their mobile devices, some things are just better done on a full-blown computer (no matter how good the mobile interface is). For example, I couldn't imagine trying to actively trade on a phone or iPad. Nor would I want to write software on a mobile device. In both those cases, I need a lot of screen real estate. 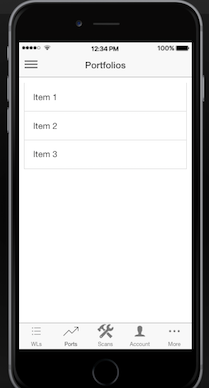 Despite my reservations about providing mobile apps, I have been playing around with a prototype and I'm considering building it out into a working app. If I did so, the app would be pretty stripped down at first and I'd add more features as I found time. Do you want a mobile App for SwingTradeBot? If so, why? What do you see an app providing you that the current website doe not? What are the PRIMARY features you'd want on a mobile app? You can answer in the comments below. If you do leave a comment, please tell me if you're an Android or iOS user.